We are pleased to announce that Sally G. Hoskins, PhD is the 2017 recipient of the Elizabeth W. Jones Award for Excellence in Education. This award recognizes her role in developing and promoting the transformative CREATE (Consider, Read, Elucidate hypotheses, Analyze and interpret data, and Think of the next Experiment) method. This innovative approach uses primary literature to engage students and help them understand the collaborative problem-solving process that is real science. Hoskins is a Professor in the Department of Biology at City College of the City University of New York. Sally G. Hoskins is the 2017 winner of the Elizabeth W. Jones Award for Excellence in Education. Originally a developmental neurobiologist, Hoskins has a strong interest in science education research. To enhance students’ critical thinking skills and give them a firmer grasp of how science research projects build understanding, she developed CREATE at City College CUNY. Instead of mostly memorizing facts, students analyze data from selected primary scientific literature as if it described their own projects. Students learn about the research process by experiencing for themselves the creativity of study design and the challenges of data analysis and interpretation. They propose potential follow up projects during in-class peer review activities such as grant panels, which encourage the collaborative discussions and debate typical of real research labs. “CREATE courses provide students with transferable skills that will help them navigate STEM developments in the 21st century, while stimulating their excitement about research careers,” says Shubha Govind, PhD, (City College of the City University of New York). Hoskins and collaborators have comprehensively evaluated the effectiveness of the CREATE method and consistently found that students taking CREATE courses improve in difficult-to-teach skills like critical thinking and experimental design. At the same time, taking the course improves students’ attitudes and beliefs about science. This is true of students of all levels. One of the many strengths of the CREATE method is that it is flexible enough to be adopted in introductory or advanced level courses at all types of institutions, from community colleges to the Ivy League. Over 100 faculty members have taken part in multi-day intensive CREATE workshops led by Hoskins with support from the National Science Foundation and brought the method back to their own classrooms across the country. The Elizabeth W. Jones Award for Excellence in Education recognizes significant and sustained impact on genetics education. Recipients of the award have promoted greater exposure to and deeper understanding of genetics through distinguished teaching or mentoring, development of innovative pedagogical approaches or tools, design of new courses or curricula, national leadership, and/or public engagement and outreach. The award was named posthumously for Elizabeth W. Jones (1939–2008), the recipient of the first GSA Excellence in Education Award in 2007. 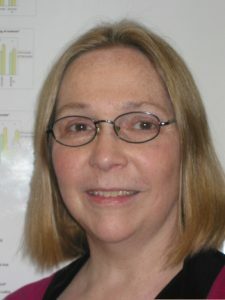 She was a renowned geneticist and educator who served as the 1987 GSA president and as Editor-in-Chief of GSA’s journal GENETICS for almost 12 years (1996–2008). The award will be presented to Hoskins at the 58th Annual Drosophila Research Conference, March 29-April 2, 2017, San Diego, CA.